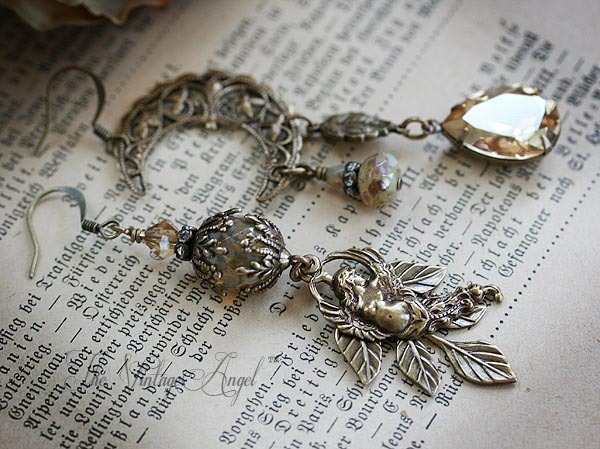 Asymmetrical whimsy in aged brass paired with Swarovski vintage topaz crystal and Czech glass Picasso beads in earthy tones. 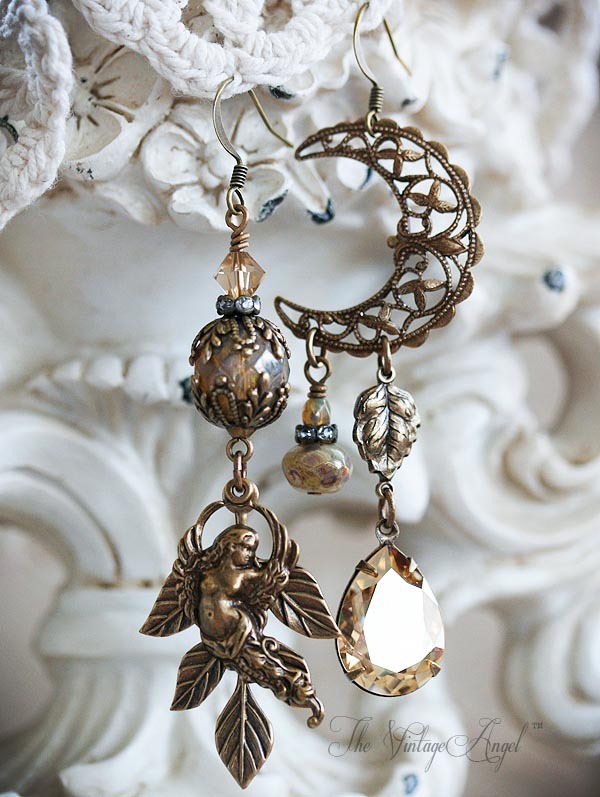 A filigree moon, leaves and an angel in flight make up this unique pair of asymmetrical earrings with antique brass hooks for pierced ears. 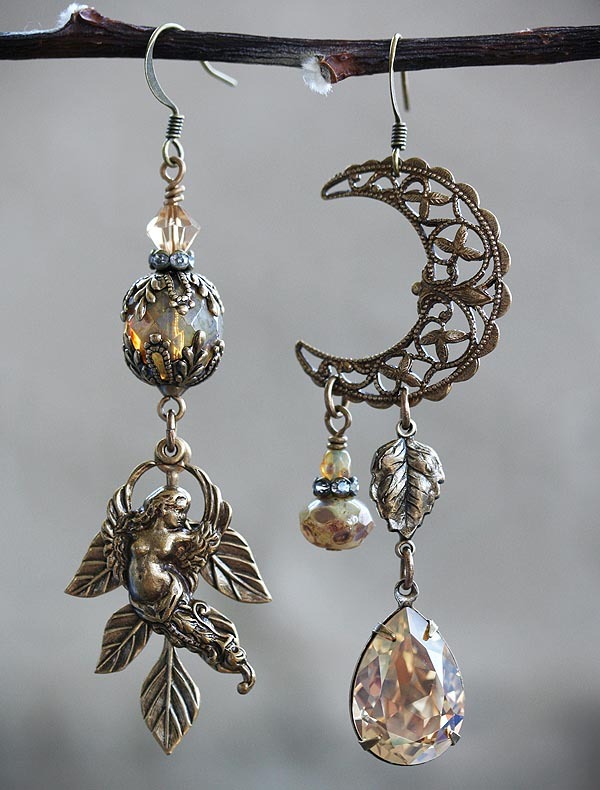 Antique brass hooks with rubber stoppers, components are antique brass (lead and nickel free). 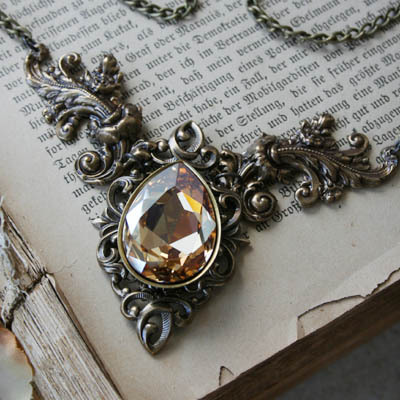 Crystal pear is Swarovski crystal.